Heather's Perfect Posts: Edublog Awards :: Voting Open Now! 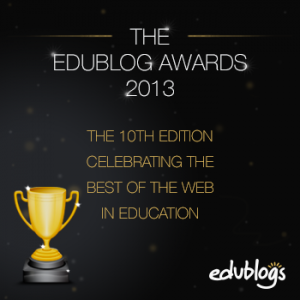 We are thrilled to be nominated for three Edublog Awards! This year, the voting is on a website called List.ly. You must be 13 or older to sign in to List.ly, so encourage you friends and family to vote! Sadly, this year, we can only vote one time on one account. My teacher, Mrs. Yollis, has been blogging since 2008. My teacher, Mrs. Yollis, started this international group blog three years ago. You can click on the triangle facing up to vote for Yollis' 365 Project. I, Heather, have been blogging since last year, and I got nominated by Mrs. Yollis. I was happy to see that I was chosen by my teacher, and people are now voting for us.